Why See Joffrey Ballet - Across The Pond? One of Britain's most influential and celebrated choreographers, Wayne McGregor has brought modernity and new into the mainstream of the British Ballet scene. In this Greek inspired piece, McGregor's signature physicality is brought to life with Max Richter's experimental adaptation of Vivaldi's 'Four Seasons'. Widely considered one of Ashton's greatest works, this ethereal piece excites the senses and evokes authentic and dazzling portrayals of the turning of the seasons. A true dance classic, Symphonic Variations brings you through the storminess of winter to the bright and carefree joy of summer. 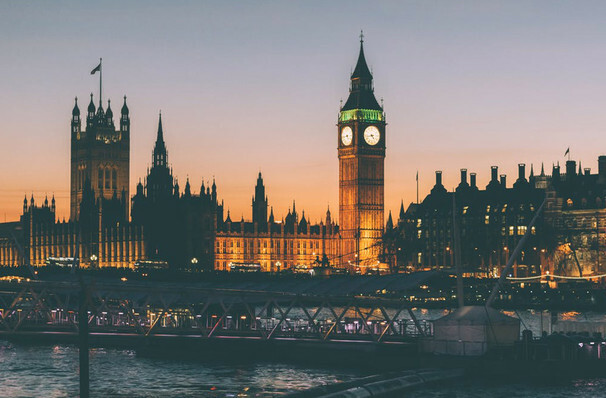 Founder and Artistic Director of London's 201 Dance Company, Andrea Walker has worked with some of the brightest and most world renowned stars. Bringing his beautiful and unique style to the likes of Coldplay and Lady Gaga, Walker now releases his undenied talent onto American audiences. In this never seen before World Premiere catch a glimpse and ignite your tastebuds for Andrea and his work. 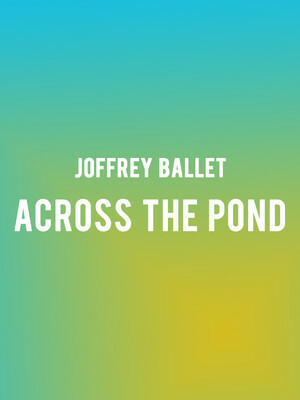 Seen Joffrey Ballet - Across The Pond? Loved it? Hated it? Sound good to you? Share this page on social media and let your friends know about Joffrey Ballet - Across The Pond at Auditorium Theatre. Please note: The term Auditorium Theatre and/or Joffrey Ballet - Across The Pond as well as all associated graphics, logos, and/or other trademarks, tradenames or copyrights are the property of the Auditorium Theatre and/or Joffrey Ballet - Across The Pond and are used herein for factual descriptive purposes only. We are in no way associated with or authorized by the Auditorium Theatre and/or Joffrey Ballet - Across The Pond and neither that entity nor any of its affiliates have licensed or endorsed us to sell tickets, goods and or services in conjunction with their events.